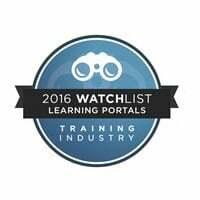 For the 6th consecutive year, TrainingIndustry has declared G-Cube as one of the Top-15 Learning Portal Company to watch out for. NOIDA, India- For the sixth consecutive year, TrainingIndustry.com has included G-Cube in its list of Top Fifteen Learning Portals companies to watch out for. G-Cube’s proprietary LMS-WiZDOM V5.0 has been recognized as one of the most progressive and technologically advanced LMSs in the learning industry. TrainingIndustry.com is a global organization that recognizes the top-achievers in the world of organizational training. The watch lists represent upcoming players in the industry, who demonstrate outstanding promise and a commitment to improve technology-aided learning. WiZDOM Enterprise V5.0 is a product of global standards, with over a million users and more than a hundred implementations worldwide. It brings with itself a learning experience that aligns to the needs and expectations of the modern day corporate learner. With its host of high-end functionalities, it prioritizes the ease of use of the user, to ensure strong and long-lasting effects of learning. Furthermore, it is mobile compatible and touch-friendly to help users access it easily on mobile devices. It also has a unique UI built with Responsive Web Design, which creates a uniform experience for all — irrespective of the viewing device and its capabilities. G-Cube is a leading CMMi Level 3 e-Learning products and services company, with a global delivery and support footprint. Over the last decade, G-Cube has helped hundreds of customers worldwide and across diverse domains. G-Cube has won various industry awards, such as the Deloitte Tech Fast 50 India Award continually for the last five years, multiple Brandon Hall Awards for Excellence in Learning and Technology, the NASSCOM Emerge 50 Award, and multiple Apex Awards for Excellence.